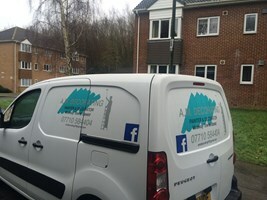 A.M Decorating - Painter/Decorator based in Sittingbourne, Kent. Kent County Council Trading Standards Approved and fully insured. I started in the industry at the age of 18 and did my apprenticeship after which I started working for my Dad’s company and we covered commercial and large construction projects in and around the London area that included new build houses & apartments. I now have my own company and since that period of working for my Dad, I have also worked in older properties ranging from a few years in age through to Heritage Status homes. Through all of this valuable experience, I have gained the skills and knowledge that are key to delivering a quality in my work that I am proud of and that WILL exceed your expectations. I feel that the preparation of all surfaces to be decorated are the key to an outstanding result and this is something I focus on before I begin the transformation. I am punctual, reliable and will always do my best to work around your schedule. Please give me a call for a no obligation quote. I am very competitive and you won’t be disappointed. You can also find me on Facebook. A.M.Decorating.